You're going back to school this fall, and you need a new computer. If you've chosen Apple, you've got a few options for what to buy: You can get a Mac, or an iPad. AppleInsider discusses which is the right device for you. All of those choices have advantages and disadvantages, but with either one, you'll have the advantage of portability, as well as not needing to depend on a large, bulky desktop computer, as previous generations were. Apple has attempted to dominate the education market for computers for most of its existence, and deals it made with elementary and secondary schools were a big part of the company's growth in the early 1980s. When the Macintosh arrived, Apple reached agreements with numerous universities to get that product into college classrooms. Apple, however, began losing its education advantage as time passed, and by 2017, had fallen to third place in the education marketplace behind Google and Microsoft, who offer cheaper devices. The company, as of earlier this year, has begun a push to get back its mojo in that regard, starting with a March "Field Trip" event in Chicago, where it both emphasized its education efforts and introduced a new, $329 iPad aimed at the educational market. "For 40 years, Apple has helped teachers unleash the creative potential in every student," Apple's education website states. "And today, we do that in more ways than ever. Not only with powerful products, but also with tools, inspiration, and curricula to help you create magical learning experiences." This is the first full school year since Apple's renewed education push, so let's take a look at the pros and cons of each option. The advantages of an iPad for educational use begin with portability, and cost. You can, of course, carry an iPad with you everywhere you want, with relative ease, whether home or to class. The iPad, no matter what size, is light and doesn't take up a lot of space. The iPad starts at $329, for the new 2018 version, with Wi-Fi only and 32GB of storage. The iPad mini starts at $399 for the 128GB Wi-Fi version, while the least expensive, 10.5-inch iPad Pro starts at $649 for the 64GB Wi-Fi edition. The 12.9-inch iPad Pro starts at $799, also for 64GB. However, with Apple's student discounts, the iPad starts at $309, the iPad mini 4 at $379 and the iPad Pro at $629. The greatest savings, though, can be found at Apple authorized resellers thanks to cash discounts and tax incentives, regardless of whether you're a student, teacher or staff member. Apple's latest 2018 iPad is periodically on sale for as low as $299, while the iPad Pro is routinely discounted by up to $250 off. Many resellers do not collect sales tax on most orders with free shipping as well. For a large number of students and parents, this can equate to an additional $25 to $100 in savings compared to buying from Apple. If you're using the iPad as your primary device, a keyboard is a must. All of the latest models work with Bluetooth keyboards, most of which run around $100, while both iPad Pro models are compatible with smart keyboards ($159 and $169, for the two sizes). Additionally, the new 2018 iPad is compatible with the Apple Pencil ($99), as well as with all apps that support that accessory. But beyond that, as time goes on, there are more and more things that students can do with iPads. At the March event, Apple unveiled an updated iWork suite, a new version of Garage Band and debuted the new Digital Books app. It's very clear that Apple is highly committed to pushing the iPad for education. On Apple's education homepage, nearly every photo contains an iPad, and there are no photos included of any other Apple device. So if you're going by Apple's priorities, that's a clue. When it comes to the Mac, the advantage starts with power, and features. Macs, in most cases, offer a better processor, a bigger and higher-resolution screen, considerably more RAM and storage, and more ports. For all that, though, you'll be paying a lot more. The least expensive MacBook is the 13-inch MacBook Air, which starts at $999 MSRP, but can be found on sale for as low as $799. The standard MacBook starts at $1,299, as does the 13-inch MacBook Pro, the latter which offers a beefier dual-core 7th-generation processor and multiple USB-C ports. Both the MacBook and the MacBook Pro are on sale now, with the 13-inch Pro priced as low as $1,149 for a limited time. For most users, this makes it a better buy than the 12-inch MacBook at this point in the back-to-school shopping season. As for desktop iMacs, the 21.5-inch model starts at $1,099, with the 27-inch model beginning at $1,799. The 27-inch version offers, in addition to the larger screen, a Retina 5K display, better processors and a Fusion Drive of up to 3TB. With back-to-school discounts in effect at Apple authorized resellers, students can get into a 2017 iMac for as low as $999. The more expensive iMac Pro retails for much higher than the iMac HD and 5K, with a starting price of $4,999. Overall, iMacs sacrifice portability, but add a great deal of computing power in exchange. If you're not going into a computationally demanding curriculum, it's hard to recommend the iMac Pro for back to school. It is a lot of power, but it is also total overkill for 99 percent of Mac users. However, if you do need more than four cores, AppleInsider partner Adorama is offering AI readers up to $500 off every single iMac Pro with no interest financing when paid in full within 12 months. Apple's Mac Pro and Mac mini are also still available, but unless something changes dramatically, we can't really recommend them to anybody for educational purposes. Neither the Mac mini nor the Mac Pro are current, and both haven't seen an update in years. With Apple's student discounts, the cheapest MacBook Air begins at $849, with the MacBook and MacBook Pro at $1,249, the iMac at $1,049 and iMac Pro at $4,599. According to Apple, student discounts are "available to current and newly accepted college students and their parents, as well as faculty, staff, and homeschool teachers of all grade levels." However, as mentioned above, additional savings can be found at Apple authorized resellers -- and the discounts are valid for everyone, not just college students and faculty. These retailers, which sell the same factory sealed systems as Apple, offer a variety of incentives from instant rebates to sales tax that's collected in only a handful of states. It pays to shop around and compare prices in the AppleInsider Price Guide for deals on every current Mac and a variety of closeout configs. Supplies are growing increasingly limited on 2015 iMacs and 2016 MacBook Pros, but many configs still remain with discounts of up to $1,600 off. For students on a budget, this can free up cash for textbooks, tuition and more. When it comes to deciding which is better for you, iPad or Mac, a lot of depends on what you most value. If you prefer power and features, the Mac is your best choice. 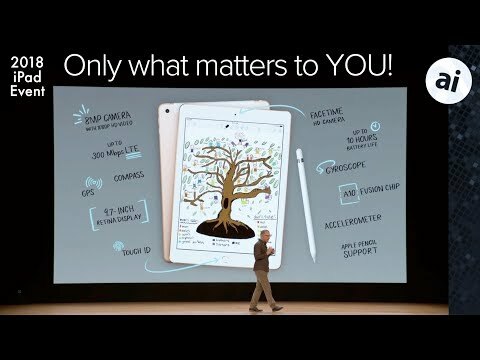 If portability, and affordability is more important, than you're better off choosing the iPad. You can almost certainly do more with a Mac, but Apple's latest iPad and iPad Pro are great for annotating and note-taking, especially when paired with the Apple Pencil. If you're shopping for a new Mac or iPad for high school or college, be sure to check out our Price Guides linked below to find the best deals and lowest prices on Apple hardware. Updated throughout the day, shoppers can redeem exclusive coupon discounts, as well as instant rebates on current and closeout models at Apple authorized resellers. Many retailers also only collect sales tax in a handful of states and tack on free expedited shipping to a number of products, further adding to the benefits of shopping online. Need help redeeming an offer? Send us a note at [email protected] and we will do our best to assist. 2016 15-inch MacBook Pro - Greatest savings! 2015 21.5-inch iMac 4K - Closeout deals! 2015 27-inch iMac 5K - Clearance offers! Without a doubt, buy a Mac. First place to look is the college bookstore or go to Apple’s educational store to get a discount. Remember, many colleges will force antivirus protection on your computer, at least if it’s a PC. This forum is all about Apple products so why are we even having this discussion!?!? Remember when it used to be Mac or PC? I doubt we we be seeing similar scenes to this anymore. At the the very least hold off as long as possible. Apple might release new models before school starts. Sometimes classes start before updates are released. Apple may well do that on purpose. Auxio, what you are saying is buy old specs at new spec prices. I would not do that to my kids. Edit: to answer the headline question: IMHO if you have to simethung right now, get an iPad and Apple Pencil, see how you go. If it doesn’t work out or is insufficient, hopefully by then there will be a new Mac as iconic, useful and flexible as the MBA, or failing that, get a HP Spectre ultrabook. Maybe. Behaviour that should not be rewarded if so. However I suspect there was a period when the plan was, that iPads would take over. That didn’t happen, but product development doesn’t change direction very quickly, and hence we are in a current low point in Mac development and release. This could all change within a month for all we know, but I think current problems with the State of the Mac are related to strategic decisions made about three or four years ago that have been proven wrong. While the general advice is good, students really should check with their school or university to see if there are specific requirements. Anyone studying computer science, mathematics, finance, engineering, architecture, etc. will probably need specialized software. If you really want to be safe, buy both. Or just buy a Mac and run VMware for windows and Unix/Linux. No other computer can handle all three. Forget a chrome book unless you want all your data scanned by Google. As for needing a specialized computer for the courses you mentioned, a Mac can handle all these except for antiquated windows software. I’d be suspicious of any college not accepting Macs. Also forget about people who demand the latest specs, current Macs are very powerful and will last several years. I'll put forward this advice: if the method of input is important to you (and for many people including myself it is hugely important) then make a large part of your decision based on that aspect. If you currently find yourself resorting to some sort of hardware keyboard frequently (because you can't stand on-screen keyboards) instead of typing on a tablet's or phone's screen then pick the Mac. If you like finger or pen-based input then go for the iPad. The worst thing I see is when a tablet user resorts to carrying and typing on a crappy keyboard with a puny touch pad 99% of the time -- Surface users are definitely in this crowd. 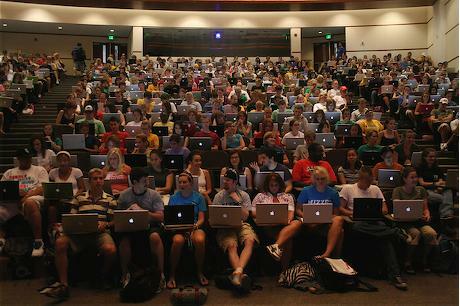 This is probably why I see MacBook Airs so much at colleges -- a lot of users like that keyboard. Some disciplines or schools will require certain software that will only run on a full-fledged OS, and that's going to require either a desktop/laptop or possibly a remote desktop session with a tablet. I traveled this week with only my iPad Pro and iPhone. At one point I had to take an existing document and copy it to a new folder and then update the copied document in the new folder. I was able to successfully complete this simple task on my iPad Pro (with Smart Keyboard) but I found the folder/file management related steps to be quite tedious on the iPad even with the much improved Files app. Would this have been much easier on my MacBook Pro? Absolutely! However, once I started working on the document itself the iPad Pro was more than up to the task without any issues. Cutting/copying and pasting text (in Pages at least) is just fine on the iPad and even on the iPhone. But there is no denying that productivity apps that were developed during the keyboard-mouse (KM) era are still better executed on computers that have keyboards and mouse (or mouse equivalent). I do believe that many KM productivity apps could be redesigned from the ground up to work better with touch-gesture (TG) than with KM. However, one of the serious impediments to this happening is the lack of standardization of TG usage across apps and TG based platforms. With rare exceptions, and none that I can think of, all KM apps generally use the keyboard and mouse in a very similar manner. Moving the cursor, selecting text, invoking context menus, etc., with KM is almost universal. The KM behaviors in many apps are essentially a defacto standard. Apps designed for TG are less similar across software vendors and application type. Some things like text selection and pinch & zoom have a strong following. But if we want TG apps to provide the same ease of use as KM apps for tasks like folder and file management the same touch and gestures should at least be defacto standards so users can learn them once and apply what they've learned multiple times. Otherwise the burden and tedium of having to learn dozens of unique app-specific TG models will drive users back to the KM party. To raise the bar even higher in the face of entrenched KM adoption, a "standardized" implementations of TG will have to be much better, more efficient, and more effective than KN to compel users to switch on a large scale. Until TG is ready for prime time at scale the MacBook Pro will remain the better choice when only one device can be obtained. 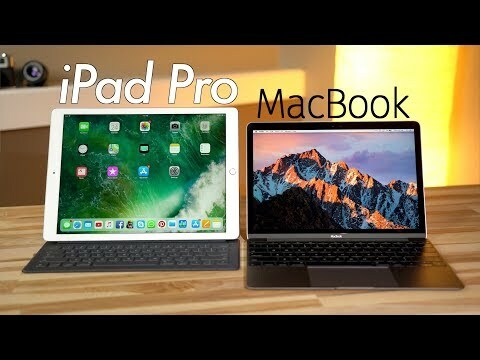 For some people, having both an iPad Pro and a MacBook Pro is a fabulous option since the iPad excels at content consumption and can be used as a second screen for the MacBook Pro when the appropriate software/app is also acquired. I have to disagree, Apples problem is that they dont do what customers expect. It is like they have a complete disconnect from how their customers use their hardware. This problem applies across the entire Mac line up. The Mac Mini, the Mac Pro the iMac, some of the laptops have been revved in ways that indicates Appe doesnt understand user needs. Apple screwed up the Mini to the point that id be surprised if they sell a. 100 a month. The laptops have really suffered with especially bad battery life if you are really using them. Sadly i see Apple doing nothing to correct the design issues current hardware has. Design here meaning suitability for the purpose. I was going to suggest the same thing. The student should understand the needs of the program they are registered in. For many programs an iPad simply will not pass muster. From my perspective most students will also want a decent keyboard. This means a laptop is a better solution. I don’t think you are disagreeing. apple intended macs to become more applicance like. That isn’t where the market went. Your points on the mini are entirely correct. Look at the MacBook too: basically trying to push the laptop towards the iPad. One fricking port and a low power chip. I bet the geriatric MBA still outsells it. Without a doubt, buy a Mac...This forum is all about Apple products so why are we even having this discussion!?!? Umm need I remind you the reason why we are having this discussion is because Apple seems to forget to remember it has a Mac product hardware line at all, let alone yearly updates. Good graphics chips for gaming that students like? No so much. Laptop hub dongles? Forces students to spend more $$$. Apple needs to do more for Mac hardware line regularly. Somehow they believe their efforts are acceptable. Set for anything over the next 4 years for under $2500. Maybe refresh the iPad in a couple years. Add a switch or Xbox or ps for gaming if desired. Resale value on the Mac Pro probably still decent in 2022. No, iPads will never take over the entire computer market because, no matter how powerful they become, there is a limitation of the form factor. But, they are and will be taking a bite. A big bite. Actually, a bigger and bigger bite. Until iPad gets a cursor it will be at a handicap to laptops for many/most scholastic requirements (except Fortnite). A touchscreen laptop (aka -- an iPad with a keyboard) is cumbersome, inefficient and frankly, a PIA.